Crossing guard shortage in Waukesha may be coming to an end in the coming weeks. If the budget expansion is approved, the crossing guard crisis could end in a few weeks. 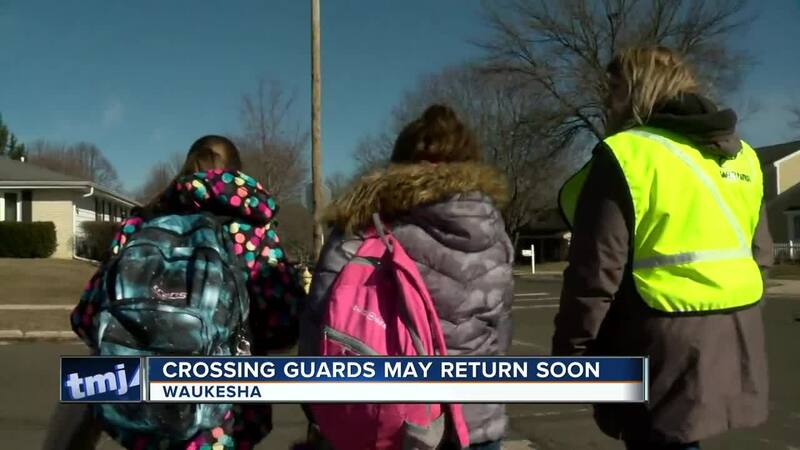 WAUKESHA — Many schools are scrambling to keep kids safe in crosswalks today, but one local school district is finalizing plans to end its crossing guard crisis. “Some cars do fly through here like (it) doesn’t matter that it’s a school zone,” Rachel Mascari said. In fact, that was Mascari's top concern when she learned Wisconsin Personal Protection Services, a business that contracts crossing guards, shut down during the weekend and would no longer staff her sons’ elementary school. “It’s concerning to me to know that there are other kids walking without crossing guards, and I don’t know what they’re going to do to fix that problem,” Mascari said. But relief could soon be on the way. Tuesday night, the city of Waukesha's Common Council approved a measure to contract with a new crossing guard company, All City Management Services. Once the contract is reviewed by the city attorney and signed by the mayor, new crossing guards could report to duty within three to four weeks. “We’re waiting on it (to) see what happens. That’s all we can do right now,” parent Roger Gonzales said. When it comes to the money — the city has the funds to pay the new contracted company for the rest of this school year, but it would need to increase the 2020 budget by $25,000. Other districts might follow suit. Shorewood, West Allis, South Milwaukee, Cudahy and Menomonee Falls are also looking into the same provider as a potential solution.